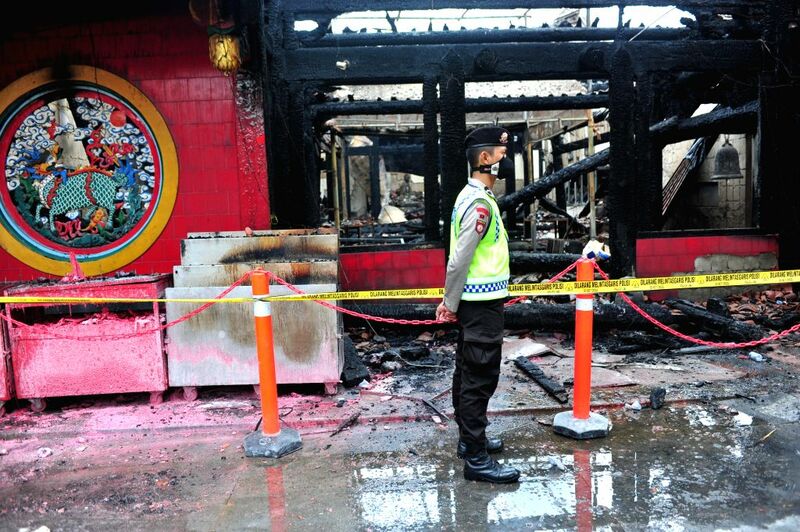 JAKARTA, March 2, 2015 - Police officers stand guard in front of burnt Dharma Bhakti temple in Jakarta, Indonesia, March 2, 2015. 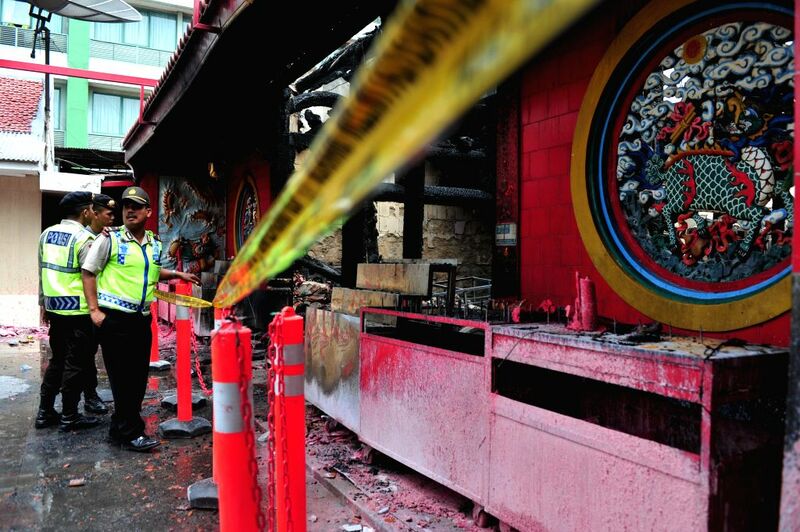 The Dharma Bhakti temple was burned on Monday morning by unknown cause of fire, according to local media report. Statues are in ruins after the fire of Dharma Bhakti temple in Jakarta, Indonesia, March 2, 2015.